You have your list and checking it twice. 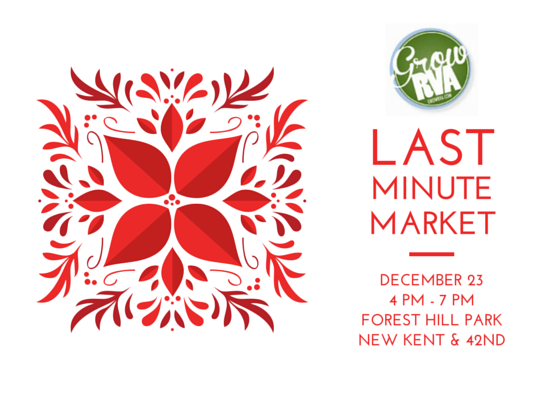 Come on out to the Last Minute Holiday Market on December 23rd, 4 pm – 7 pm. You can not go wrong with shopping here with jewelry, Brunswick stew, meat, sausage, warm beverages, pottery, baked goods and more. The vendor list has increased! Previous Previous post: Coming in May: a Sunday Brunch Farmers Market!